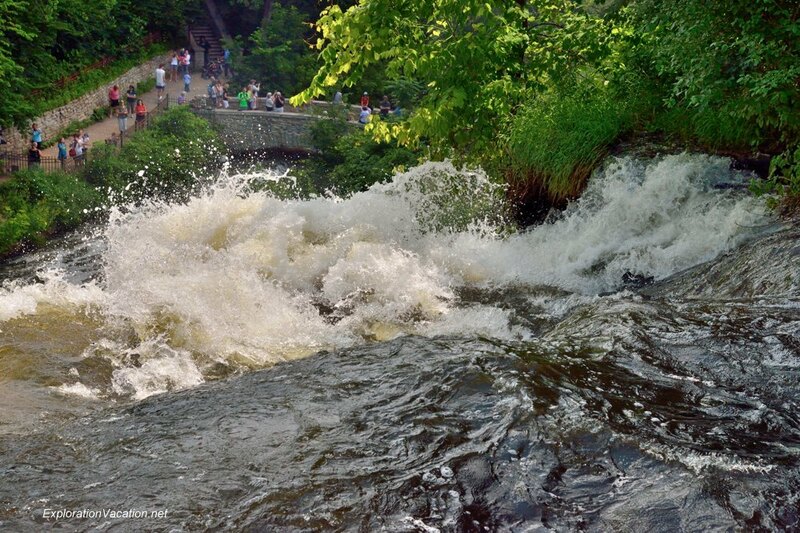 It’s been a wet spring here in the Twin Cities, which means that Minnehaha Creek through Minneapolis is rushing over the falls in a tumbling torrent. This has drawn large numbers of people to the falls, and I decided last week that it was time to join them. 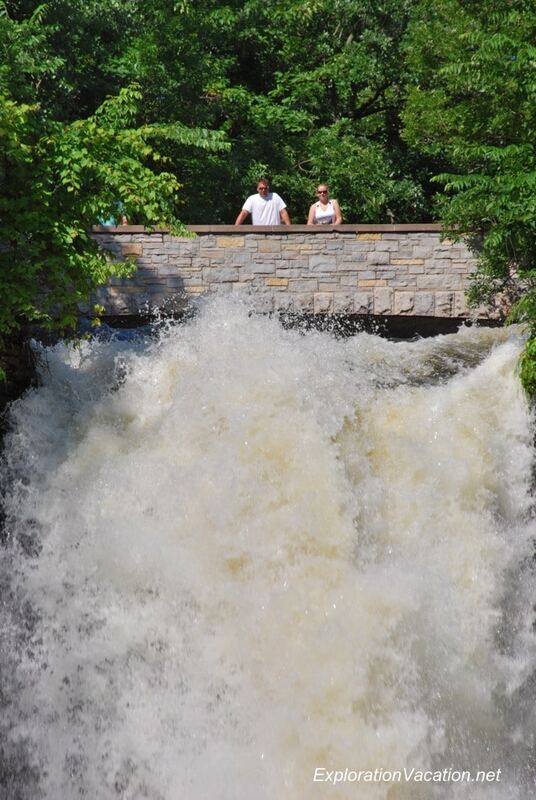 Hard to believe anyone would think it’s a good idea to see all that falling water from their kayak! Minnehaha Falls: First Descent from OGP Productions on Vimeo. I much prefer to view it from a bit of a distance. It continues to rain, so there is still time to go out and get your own pictures. For information on shooting waterfalls, see Shutter Speed and Moving Water: Minnehaha Falls #1 on my blog Playing with Photography. By “shooting waterfalls,” you mean with a camera, not a kayak! OK– here’s the buzz about that kayaker: notice at the end of his video, one of the blades is missing from his paddle. And I hear rumors that he broke his nose going over– possibly connected to the missing blade. How’s that for OW!? Oh yeah, he SAID he broke both his paddle (obvious in the video) and his nose (also suggested in the video when he flicks away what looks like a lot of blood), and he didn’t seem to concerned about it. He is a loonatic, but a lucky lunatic since he didn’t actually kill himself. But the video is pretty cool. Crazy stuff. Hope you are high and dry where you are.